A few weeks ago, I caught myself stuck in the middle of a petty social media argument. There were two sides arguing in, essentially, a battle of the minds. I usually try to be an even-minded person online, and I stay out of many of these arguments or just say a few words and leave. But my humility bucket was running low, and I found myself in the comment crossfires. I can’t be too harsh on myself. It’s all too easy in our culture today to begin to believe we are quite important and that the rules of true humility don’t apply to us. We have prominent politicians broadcasting their opinions regularly, we have celebrities becoming politicians, and we even have theologians engaging in snarky tweets, trying to intellectually impress the onlookers. It’s a fascinating time to be living! But the picture we see in the readings is a stark contrast to our current day. The prophet Isaiah literally sees the Lord and His angels. Were Isaiah in our time, a welcomed response by most may have been a new book deal to sell his experience to the masses. However, after such a spiritually vulnerable and transforming moment, his first words are of his sinfulness and lowliness. He has no faith in his abilities and proclaims he is “doomed” because the Lord visited such a sinful man. He is clearly a living manifestation of awe and wonder before God. I often wonder how different our political and even religious landscape would look if this was the response by faithful people when new ideas came to them or good works were sought after. St. Paul echoes the same theme. Where we are often people of many useless words on social media, St. Paul shares the heart of the gospel in just a few short simple lines, after which he asserts that he was the last to hear because he was the least. There is no pretense of pride in his words. He knows any good that comes from him is because God is working in him, not because of anything he does. But I think there is something deeper going on here. What we have is an example for us of pure receptivity and humility. “Master, we have worked hard all night.” We see in St. Peter’s words that they have done literally all they can on their own. If it were just up to them and their skillful hands, they would have no fish. But their hearts hear the Master and trust his word. Fr. Philippe continues in his book by saying, “We are welcoming and receptive insofar as we have trust.” They aren’t casting nets as a last-ditch effort to get Jesus off their backs. They are casting nets because in their receptivity to his voice, they also have pure trust. They are now convinced that any good that comes won’t be of their own doing, but it will be because of God’s work in them. When the fish come in numbers too immense to fathom, the first response is again humble recognition of human weakness. St. Peter says, “Depart from me, Lord, for I am a sinful man.” We don’t see a man parading around his fish, giving a hashtag shout-out to Jesus for helping him. We see a completely converted man convinced of his own sinfulness and weakness, who is now willing to drop everything he knows to follow Christ to the cross. This is the call for all of us today. Are we convinced that without the Gospel and the power of Christ, we are literally nothing? Do we pridefully take credit for the good we do, whether it’s in online arguments, good homilies, or service projects? Do we see our sinfulness and nothingness when God works in us, or do we cling to pride? 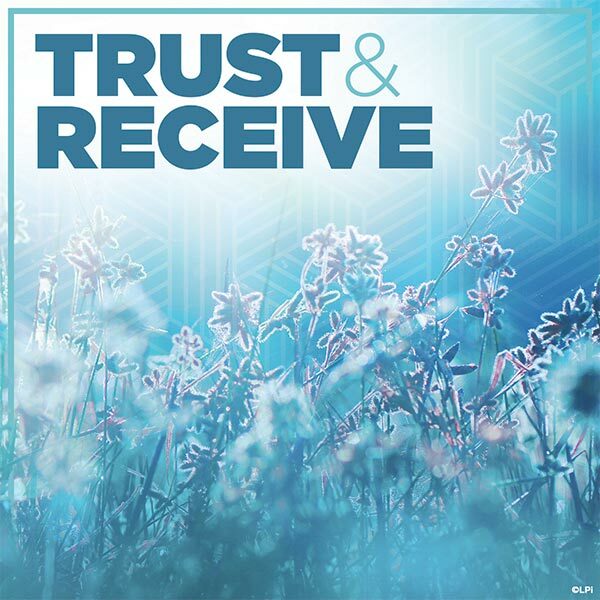 Do we live in a state of trust and pure receptivity?